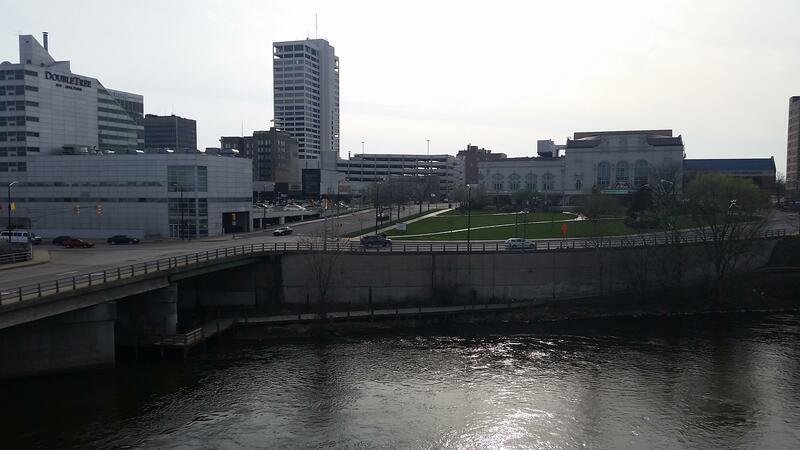 A view of downtown South Bend on the St. Joe River from developer David Matthews' townhome. 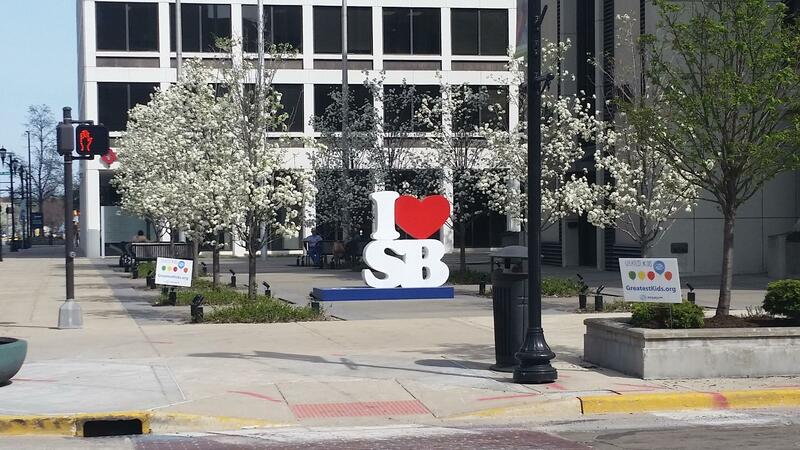 The "I Love South Bend" logo is seen downtown. Midday in downtown South Bend. 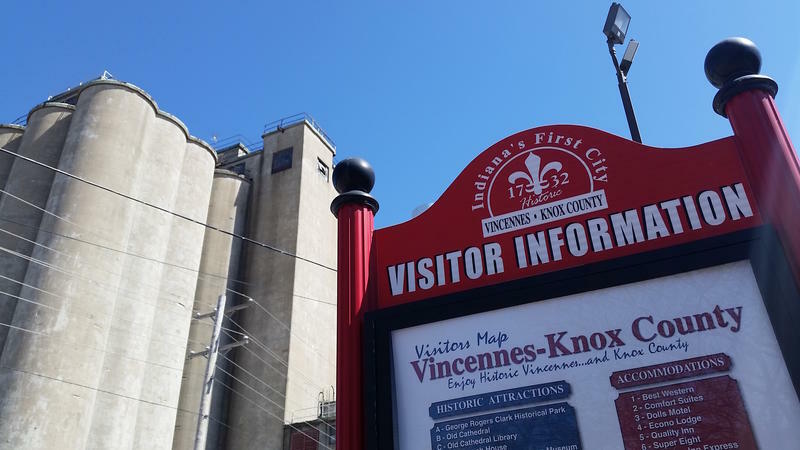 A visitor's information sign sits outside an old factory in Vincennes. Vincennes' Main Street is the oldest and one of the longest in the state. 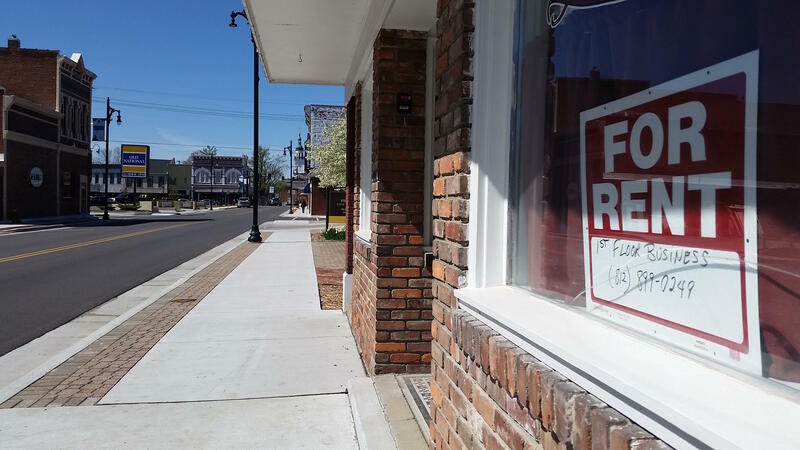 Many properties still sit empty around Vincennes' Main Street. 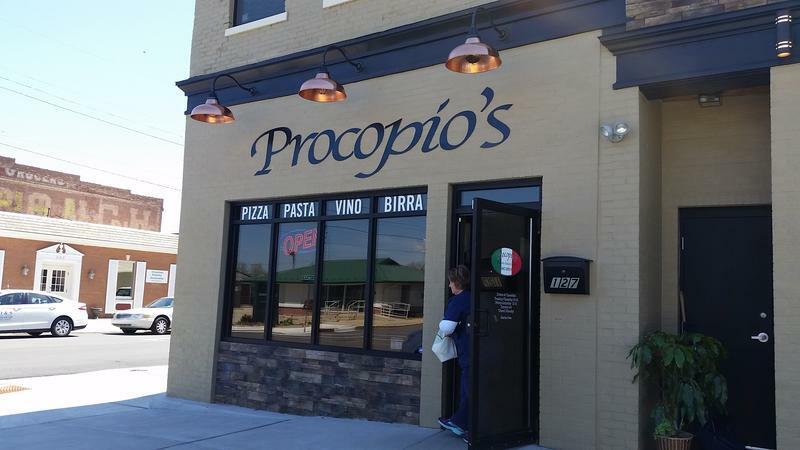 Palazzolo Procopio moved his Italian restaurant to a century-old vacant building outside downtown Vincennes. 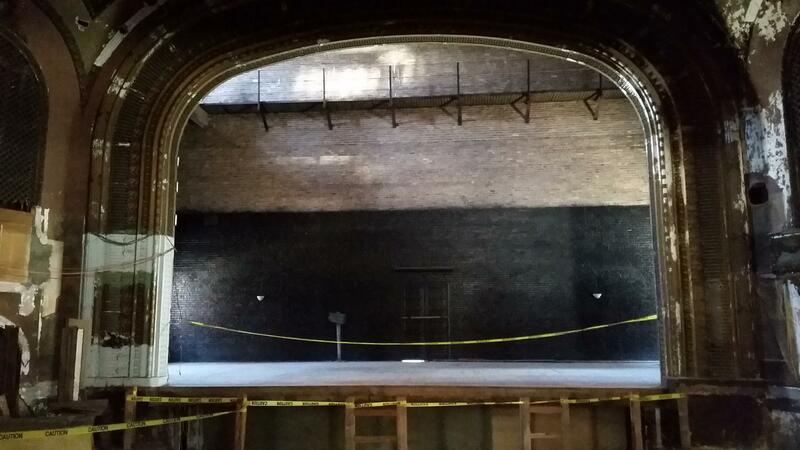 Vincennes community development organizers hope to turn the historic Pantheon Theatre into a business incubator. 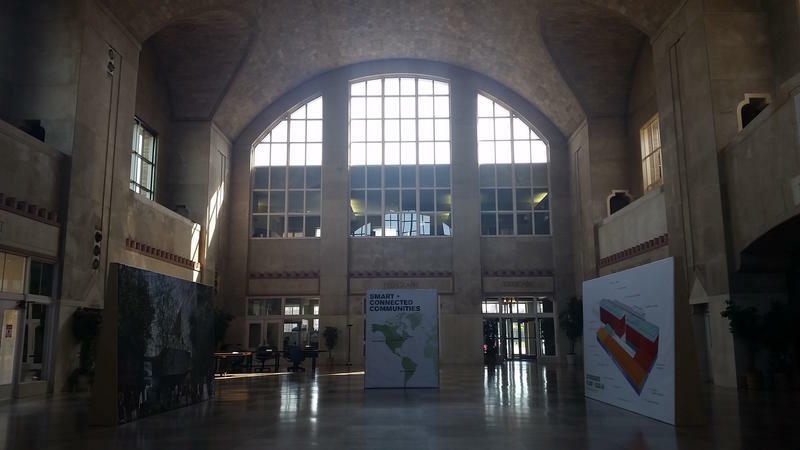 South Bend's Union Station has been transformed into a data center and space for tech start-ups. It'll connect to the neighboring Studebaker project when that's finished. 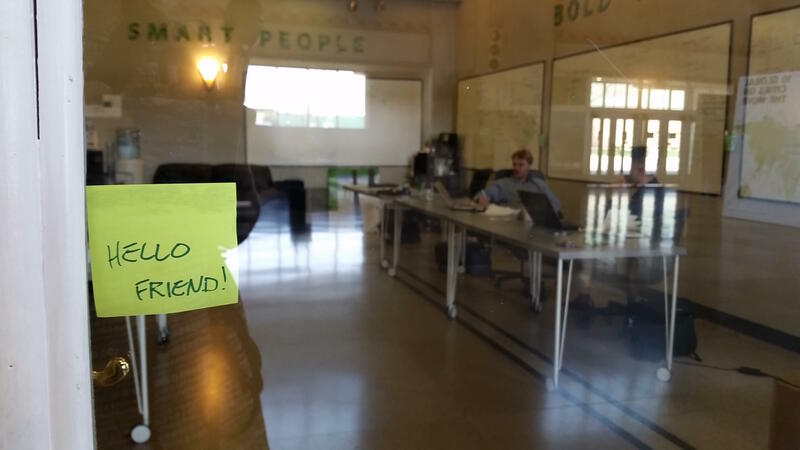 Talent recruitment start-up EnFocus has offices at South Bend's Union Station. The last remaining Studebaker factory in South Bend will become office and living space over the next decade. 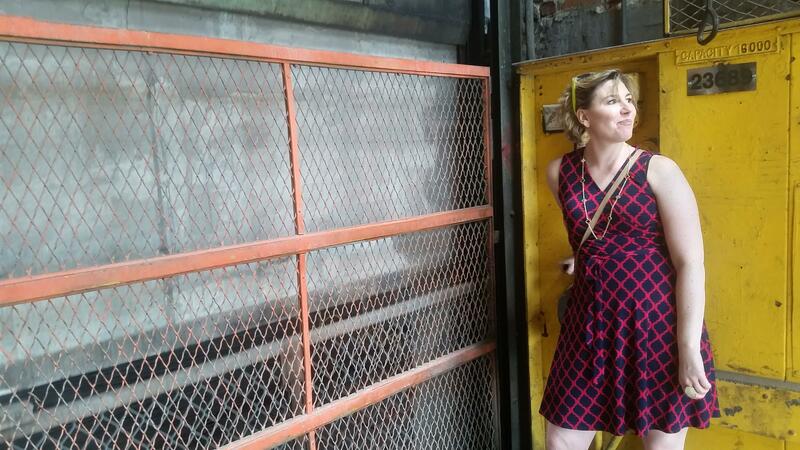 Community organizer Willow Wetherall operates the Studebaker freight elevator to reach the roof. Downtown South Bend, with Notre Dame University in the distance at right, as seen from the roof of the Studebaker factory. 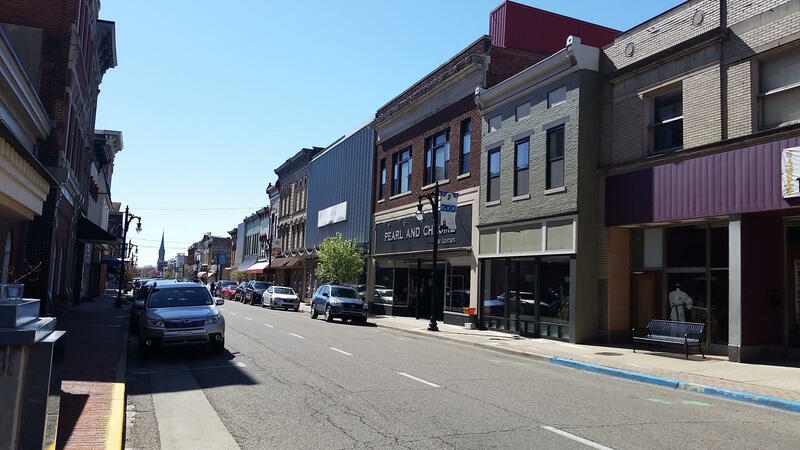 Indiana towns have a new priority when it comes to driving population growth and improving their economies: their downtowns. 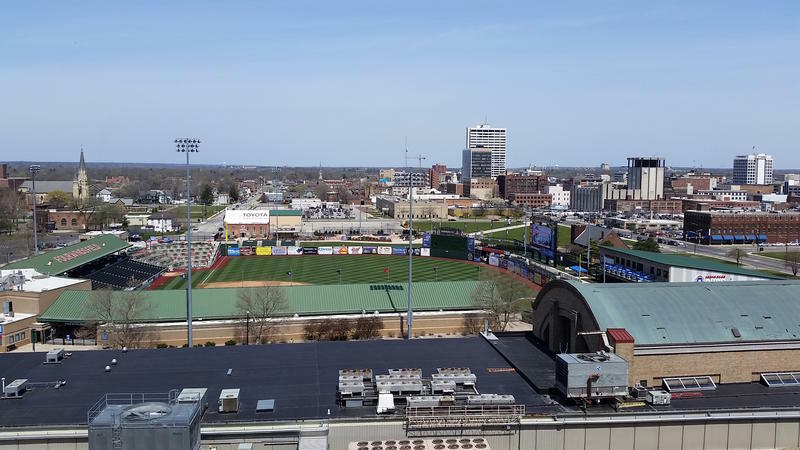 The Regional Cities Initiative is Indiana's first major, direct funding boost for those -- but it's just the latest in a string of public and private investments. 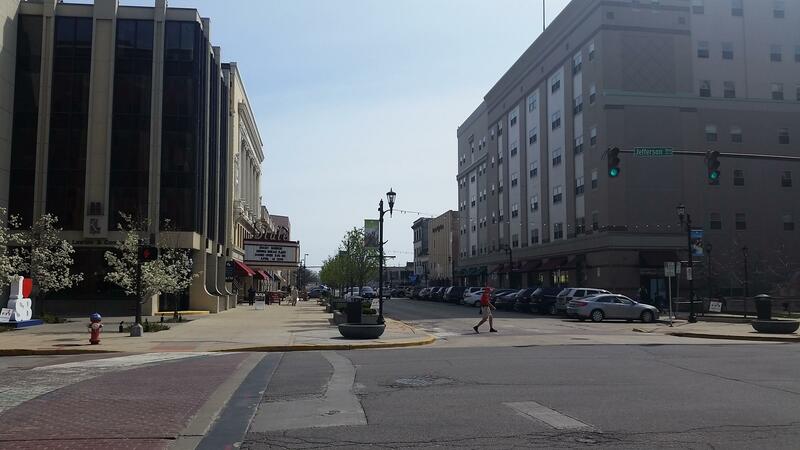 In the first part of an occasional series on Hoosier downtowns, Indiana Public Broadcasting's Annie Ropeik reports on the push to modernize Main Street. From the third-floor balcony of his riverfront townhome in South Bend, 33-year-old developer David Matthews can see just about everything his revitalized home town has to offer. "Low-income housing, market-rate housing, million dollar condos … shops, bars, restaurants, live music, public parks, dog parks, river trails, kayaking routes -- like, there's a lot to do within three blocks of this house," he says. "That's attractive to millennials, and it's attractive to, I think, most people who are looking." Matthews would know – his firm built and filled a lot of the housing you can see from here, with people who want to live and work in a downtown. South Bend Mayor Pete Buttigieg says a lot of cities and towns are now working to capitalize on that interest -- that, after the recession, they found the best “new” economic development plan, was revitalizing old urban centers. "The reason cities are such a great multiplier on human enterprise is that they create chance encounters and bring people together," Buttigieg says. "So you want to create a downtown that's vibrant, that's got energy, that's got people moving around on foot, bicycles, vehicles, and ... encountering all the time." This theory dates back to the 1990s -- but today, with innovations in technology and their impact on life in and out of work, it's gaining traction all over the state. Four hours to the south, Knox County Development Corporation president Kent Utt is driving through an industrial park in Vincennes. "You look at the millennials, again -- they're wanting that downtown feel and ability to not have to drive," he says. And while industrial parks pay property taxes, Utt says they don’t encourage entrepreneurship, create wealth or foster a sense of identity as much as urban spaces and low-cost housing. "The wealth creation is what helps smaller communities," he says. "You look at the foundation of communities -- that's who end up giving to community foundations, giving back." For example -- Pioneer Oil relocated its headquarters to Vincennes' Main Street last year, and has already invested in revitalization. Utt says he thinks they chose Vincennes for its small-town feel. Procopio Palazzolo likes that, too. Originally from Sicily, he's been here for more than a decade, and his Italian restaurant just moved to a vacant, century-old building downtown. "It was in very bad shape," he says inside his classy brick-walled bar. "We did it literally from A to Z to reach the point where we're at today." The renovation took two years -- but Palazzolo says the new location has helped him feel more like part of the community. Developers here have been trying to flip historic properties before they have to be torn down. Vincennes has also regained its state Main Street designation, giving it access to more grant money. That could improve the fortunes of buildings like the Pantheon Theatre, where native son Red Skelton and other stars once performed. Ellen Harper runs a community group that's marketing two old Main Street theatres to become a new brewpub and a business incubator. "We are the oldest city in the state and we want to preserve that history," Harper says as she stands on the Pantheon's dusty stage. "But yet, we also need to make sure that 20 years, 30 years from now, it's still going to be a very livable, usable community." Harper had hoped this project would win even more money through the state’s Regional Cities Initiative, which awarded $42 million each to North Central, Northeast and Southwest Indiana last legislative session to pay 20 percent of the cost of building new housing or public spaces. Vincennes' Wabash River Region didn't receive any money, but Harper says the program still encouraged them to plan. Back up north, South Bend was one of the Regional Cities recipients. 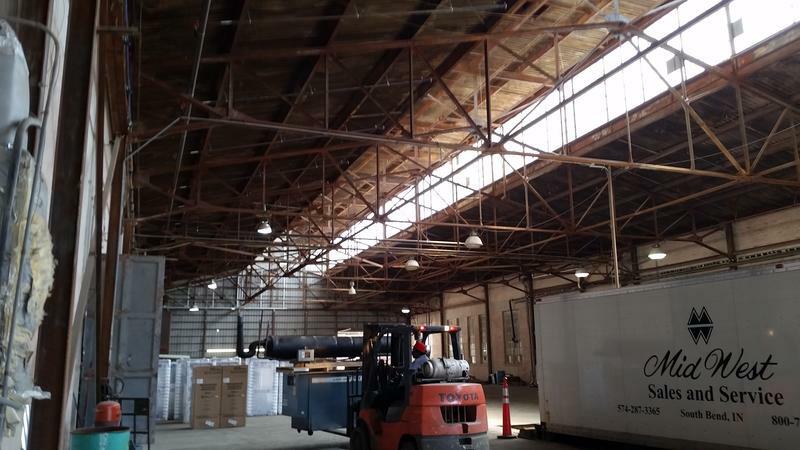 One project that's likely to benefit is in the last old Studebaker factory in town, where community development organizer Willow Wetherall is giving a tour. "These are the original elevators that were used in the Studebaker building." She pulls two huge steel doors closed and yanks a rusty lever to send the freight elevator up. "They would mount the cars, two cars at a time, on their sides." Up six emptied-out factory floors, she climbs a set of temporary wooden stairs and lifts aside a plywood door to step out onto roof. South Bend looked like a smile with missing teeth. "This is my absolute favorite spot in the building," she says. The roof looks out over a new minor league baseball park, restaurants, hotels and, beyond them, the golden dome of Notre Dame University. There are plenty of empty spaces -- after Studebaker closed and thousands lost their jobs, Wetherall says South Bend looked like a smile with missing teeth. But this last Studebaker building is now being renovated to house start-up offices, data centers and loft apartments. Wetherall says it's already started to have a psychological effect -- in 2013, on the 50th anniversary of the plant's closure, developers let the public back inside. "And the spotlights went on, and the building was lit up that night," Wetherall says. "It was just signaling a new era of productive use for the building." 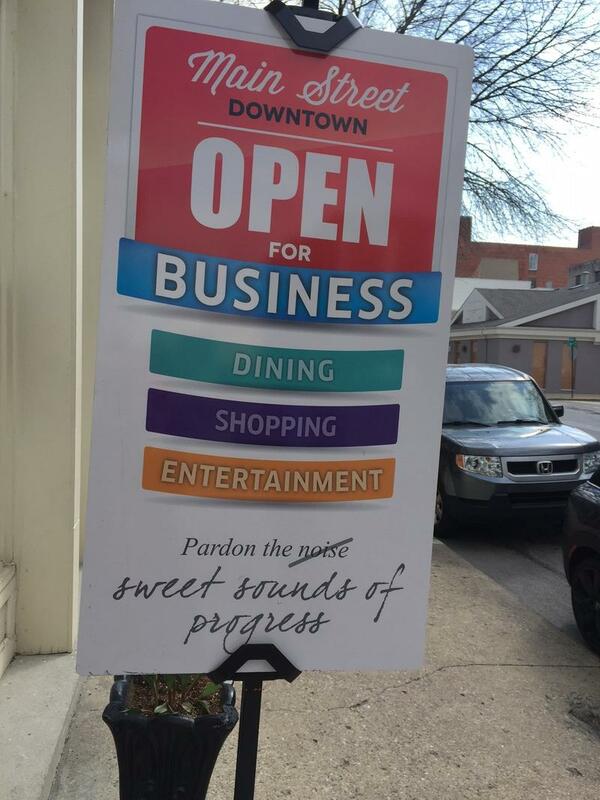 Stay tuned for more stories from downtowns across the state later this year. It's the heart of a city-led marketing campaign to keep customers and merchants informed -- and concerns to a minimum -- as crews widen sidewalks and install decorative lighting, planters and other amenities on sections of Main Street. The City of Monticello is hiring a consultant to help implement its downtown revitalization. Mayor Ken Houston says the plan was approved three years ago, but has been largely ignored. He says after taking office this year, he realized there was still interest in putting the ideas into action.